You have two options with your pumpkin, roast or purée to get the best out of it for recipes. Roasting is find if you are using it there and then and maybe reheating the next day but it doesn’t last, the joy of purée is that it lasts (3-5 days as it is in the fridge or 3-6 months in the freezer!) and is a bit more versatile in my opinion. You can use it in drinks, cakes, pasta and of course soup. 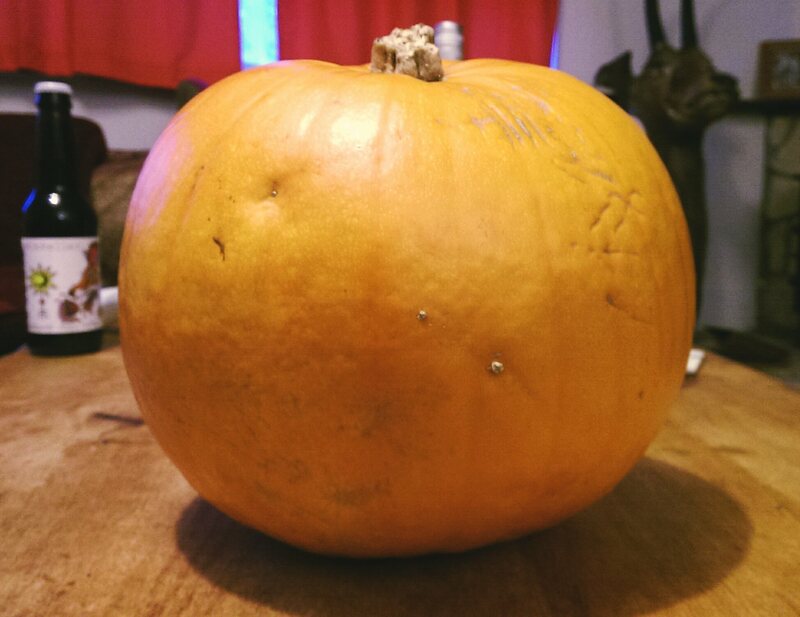 The easiest way to deal with your pumpkin is to chop it up into chunks, skin and all, pop it into you slow cooker on low and leave it for at least 6 hours. Then transfer the chunks into a blender, pouring off as much water as you can, and whizz until smooth. Done. I did this last night, did half the chopped pumpkin last night, blended this morning and then added the second half this morning to be ready for when i get home later. If you don’t have a slow cooker then you can put the pumpkin in a large pan and cover with water then boil for about 20-30mins or until tender then mash with a fork if you don’t have a blender. This method i recommend you remove the skins but this will be easier after they have been boiled. I suggest measuring the purée out into freezer backs in “cups” which is about 280ml. You will find a lot of recipes for pumpkin will use cups so at least you know who many bags to use! Next PostNext Pumpkin, goats cheese and spinach one pot pasta.